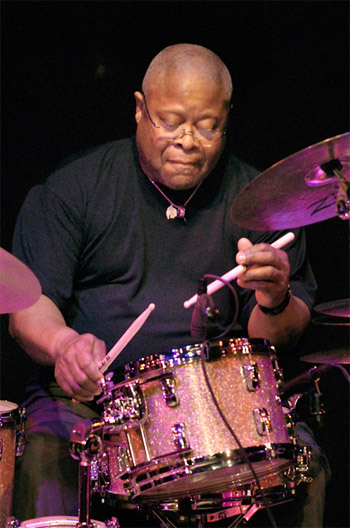 Jai Johanny Johanson, better known by his stage name, Jaimoe, has been playing drums and percussion since he was 16. From the beginning, he was so certain of his career path that he didn’t even want to finish school. “I just finished because my mother asked me to,” he says. Before touring with the likes of Otis Redding, Percy Sledge and The Five Stairsteps, a young Jaimoe would wash dishes in restaurants between drumming jobs. “That would usually last about 4 or 5 months, and I’d be off on the road again,” he says. 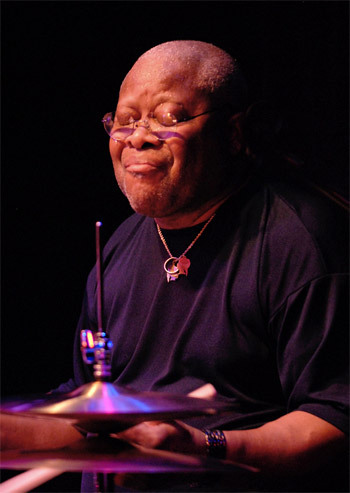 In 1969, Jaimoe helped to found legendary southern rock group the Allman Brothers Band, which earned him a Grammy Lifetime Achievement Award in 2012. After 45 years, the band members—hailed as pioneers of the jam-band genre—still rock the stage together. To say that Jaimoe is a master of his craft after 54 years of performing is somewhat of an understatement. At 70, The 1995 Rock and Roll Hall of Fame inductee is still keeping time in the rhythm section; only, now, it’s literally to the beat of his own drum. Today, instead of washing dishes between gigs, Jaimoe jams on. In 2006, he assembled a seven-piece ensemble to indulge in the jazz side of his musicality. Jaimoe’s Jasssz Band naturally features Jaimoe on drums. 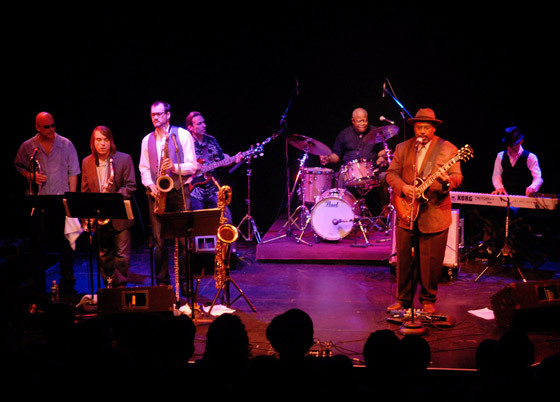 The group’s seasoned musicians also include guitarist and vocalist Junior Mack, bassist Dave Stoltz, keyboardist Bruce Katz and a show-stealing horn section comprised of saxophonist Kris Jensen, trumpeter Reggie Pittman and Paul Lieberman, who splits his time between saxophone, flute and piccolo. Jaimoe’s played in Jackson for the first time for the Mississippi Blues Marathon’s after-party, but Jaimoe wasn’t entirely unfamiliar with the local music scene. His list of jam-session partners features a few notable Jackson natives, such as singer Tommy Tate. Jaimoe has also heard about Jesse Robinson’s guitar-playing, and said he wouldn’t mind meeting him while in town. After Jackson, Jaimoe headed to his hometown of Gulfport. “That’s where I went to school, and I lived there until I was 22,” he says. He was in town for the unveiling of a Mississippi Blues Trail marker in his honor on Jan. 13, at 3 p.m. at the intersection Arkansas Ave. and Martin Luther King Blvd. While Jaimoe won’t pin down a release date for the band’s fourth album, only saying to expect it “in the next year and a half, maybe sooner,” fans can expect another worthy addition to the drummer’s ever-growing legacy. Keep up with Jaimoe’s Jasssz Band at jaimoe.com.